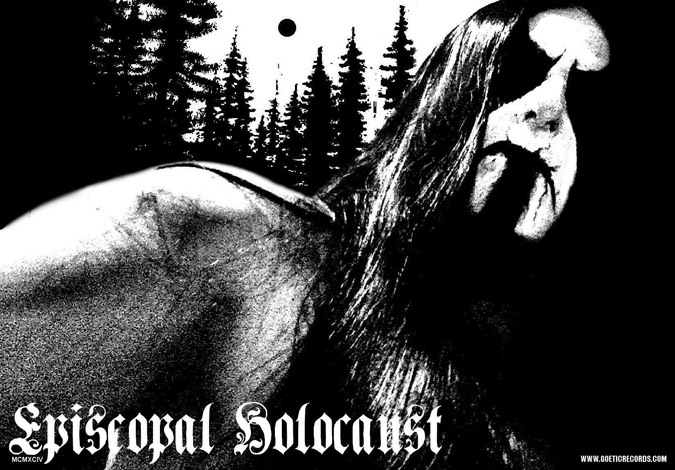 New Interview with Kosta Bayss of Episcopal Holocaust! Goetic records, the home to Emperor of Myself (Greece), Margg (Persia/Ukraine), Northern Bastards (Ukraine), Upon Shadows (Finland/Uruguay), Wölfrider (Poland), and his own projects APVTH and Episcopal Holocaust, was born from refusal to conform and a self-serving idea that has become a more selfishly generous platform than he anticipated. About the time when Black Metal began to blossom from its poison roots on the counter-continent of Eastern Europe, Bayss was making his own brand of mayhem. "I've accepted my fate that I may very well die in obscurity and I've accepted it. I'm happy with it...." He adds, "Maybe after I'm dead, someone would like what I've done but, that's what keeps me going. That's what Goetic Records is to me. I'm building a temple of my stuff that hopefully, somebody will find and appreciate."